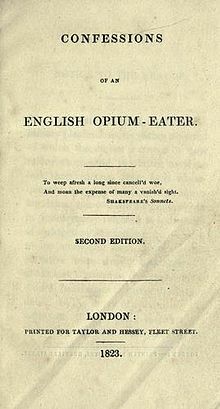 By the time Thomas De Quincey wrote “Confessions of an English Opium-Eater” the subject of narcotics was very much a taboo, thus the author was the founder of a new type of literature – addiction literature. The book`s structure is as follows: Part l (To the Reader and Preliminary Confessions), Part II (Pleasures of Opium, Introduction to the Pains of Opium, The Pains of Opium, May 1818, June 1819), Appendix and Footnotes. When De Quincey was seven, his father died, living him in the care of four tutors. After changing several esteemed boarding schools, the protagonist came to Eton, where he discovered his passion for Old Greek and Ancient literature. However, he wanted to drop out of school when he was seventeen but his guardians didn’t approve, therefore he ran away from Eton. He traveled to Northern Wales where the villagers asked him to do small work as an exchange to food and a place to say. 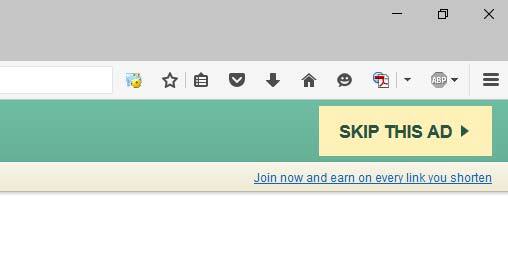 Unfortunately, he ran short of money and he was forced to move on, thus he found himself in London. There he almost starved to death, but a fifteen-years-old prostitute – Ann -saved him and thus the two became friends. Her gesture and his sympathy for her followed him all his life, but he did not see her again because he had never asked for her last name. Being fed up with poverty, De Quincey asks an old school friend – Earl of D – to lend him some money to return home. He reconciles with his family and goes to Oxford University. From this point on, the narrator begins to tell his reader about his good and bad experiences with opium. As De Quincey confesses, the previous period of his life left deep marks on his health – severe stomachaches, intolerance to certain foods and psychic traumas. The first time he used opium was after a friend suggested it as a pain-killer for toothache. Afterwards, he began consuming it regularly by counting the drops .Throughout the years he had to consume more because the doze didn’t have the same pleasant effects. The obsessive counting of the drops may represent the fact that De Quincey wanted to keep his addiction under control, because he took it for medical reasons, not for pleasure. My favorite part of the book is when De Quincey began to feel the bad effects of opium such as the hallucinations and nightmares, which usually took place in Orient and North Africa (China, Turkey, and Egypt etc. ), places that exported opium to Europe. The Malay, who has previously showed up at his door and to whom De Quincey offers a good amount of opium, he will also appear in the author’s dreams. The style of the Confessions is erudite, seasoned with Greek terms, references to Ancient literature and other domains. (art, economy, politic science etc.) Even if the title suggests the idea of confessions regarding the author’s life, here opium is the center piece of the book, with its positive and negative effects. There are also many digressions that might annoy the reader, but they have their purpose, such as the causes and the justification for De Quincey’s use of opium.